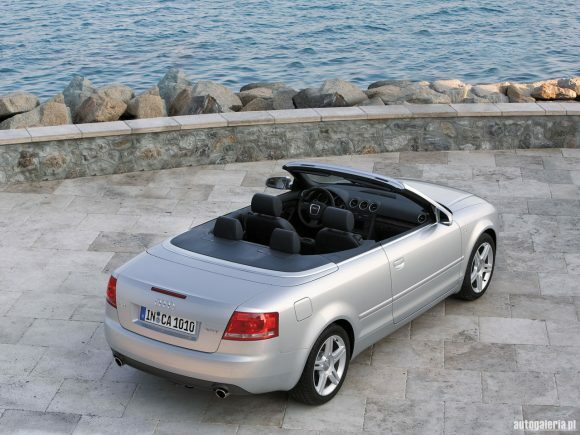 Unlike the A5 that followed it the Audi A4 Cabriolet was the only 2 door car in the A4 range with no coupe alternative. As a result almost every body panel, the rear interior and many mechanical components were unique to the car. Never the less it is a highly developed and refined convertible, available in a huge variety of trim and engine variants that offer everything from economical cruiser to snarling sports car. Audi aims to provide a usable every day car with excellent build quality, pleasant cabin, minimal wind buffeting and good sound proofing. The Audi A4 was the first convertible car to offer a diesel engine which has seen moderate success in Europe prompting other manufacturers to follow. The roof folds at a reasonable speed considering its size and leaves a useable space in the luggage compartment. Storage space isn’t as good as some of the A4’s competitors such as the Mercedes CLK and Volvo C70 but is still much improved on older cars. Standard equipment levels are good however ticking additional boxes in the options list can be a very costly exercise. Lucky then that this high range model has all the important things you will need including climate control and a sat-nav system. 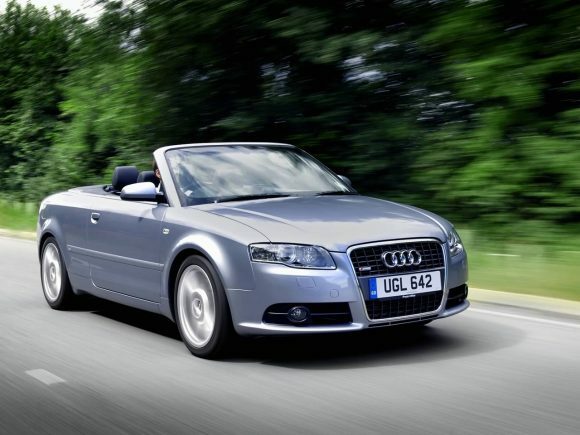 The 2006 Audi A4 Cabriolet B7 update brought suspension and steering upgrades previously limited to the more powerful S4 to further improve handling. It also got the tall grille front end facelift – the last car in the range to receive this treatment, and updated rear lights. With ample power for this refined four-seat convertible, the Audi A4 Cabriolet 1.8T is a classy car at an attractive price. The ride is excellent and interior beautifully finished giving a premium feel to an already elegant car. Fuel economy is an acceptable level for a car of this size and the turbocharged engine is eager if not exciting to drive. The Audi A4 Cabriolet 2.0 TFSI uses the latest direct injection technology and a turbocharger to allow an impressive surge of performance when it is needed and equally good economy when you don't. It is a worthy upgrade on the 1.8T with an extra kick of acceleration without any extra cost at the petrol pump. The 3.2 litre V6 engine provides smooth power but is less efficient than four cylinder options. The Audi A4 Cabriolet 3.2 FSI quattro has plenty of power to make some serious progress but the chassis and all-whee-drive system manage it with ease. It pulls well throughout the rev range making it feel comfortably quick whatever the circumstance. The economy and emissions aren't quite so pleasing but that is as ou would expect with an engine and car of this size. The Audi A4 Cabriolet 2.0 TDI was the first convertible car to offer a diesel engine and its success in Europe changed the industry. While enthusiasts had trouble seeing why anyone driving a convertible car would want toput up with the tuneless noise and sooty fumes of a diesel engine, those covering many miles, often for business use, had little option and were thrilled to be able to order a sophisticated drop-top. The same engine features across many VW Group cars and is well known for its hard-working ability to cover huge distances without complaint and a conservative thirst. The more powerful diesel engine in the range provides both performance and economy in equal measure. 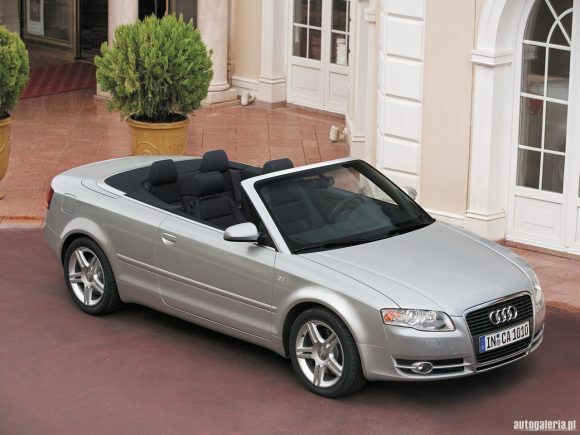 With 230bhp the Audi A4 Cabriolet 3.0 TDI quattro was at launch the most powerful diesel convertible available. It may not be an exciting performance car but it is very capable and can cover ground in all weather at a surprisingly fast rate. It also makes cruising and accelerating very easy and provides a relaxed driving experience well matched to the excellent 6 speed automatic gearbox. Do you drive an Audi A4 Cabriolet? Would you recommend it to others? Join the conversation and let us know what you think of the car. This Audi currently has 15 owner reviews. Audi are masters at creating 4 seat convertibles. This car fits 4 people really comfortably. It is a dream to drive, and of course it looks fantastic with the roof down. what is the road tax on the a4 diesel, please ? Hi Denis, At time of writing the A4 2.0 TDi Cabrio is Band H in the UK making the current 12 months tax price £190 GBP however cars before July 2006 are Band I making them £210 GBP per year. Hope that is of use. 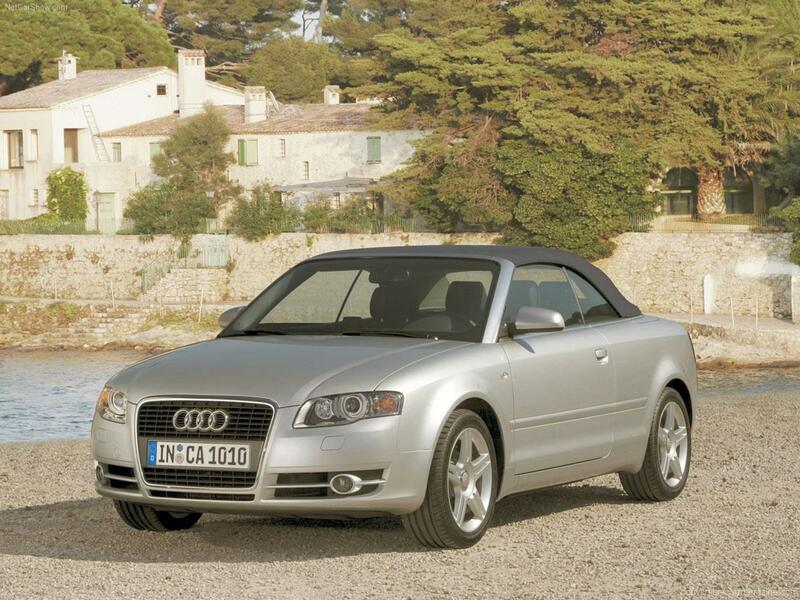 The Audi Convertible 1.8T is an unreliable barge to drive, definitely not sporty, very heavy and very thirsty on fuel. In 3 years of ownership, Ignition coils replaced, Rear brake light fault, Alarm sensors replaced, roof got stuck open, suspension bushes needed replacing, blocked sump pick up pipe (£500 job), glove box broke, water coolant leak.. These cars need oil change every 5000 miles or the sump pick up gets blocked see audi 1.8t sump blockage for details. Search the forums before you buy – this car is not Japanese, It will require constant tinkering. Oh, and if a gearbox goes, £800-£1000+ fitting, new engine £3000+, fitting. Audi main dealer prices £100 – £120 per Hour Labour. and all Parts are extortionate. Only buy one of these if you have a large wallet and like to throw money away. I had one for last 3 years. After month after month of Bills I had enough. I am trying to help you all – Do Research before you Buy! Great looking car but Costs the earth to keep going. I totally agree, Audi’s are totally unreliable, expensive trash. See review here. Beautiful car,pleasure to own and drive, some issues but no complaints. Will keep mine as I love it and nothing comes close, great touring car with bags of style. Hi, I have 1.8T sport in black on 2007 07 plate. Great car, still one of the most beautiful convertibles on the road, top up or down. Not had any issues. Cherish mine, has less than 50K on the clock and is immaculate, near showroom. Could easily go out and buy a new car but love this so much I’d struggle to part with it. A timeless, future classic. Fuel consumption and road tax not great compared to newer cars but a small price to pay in my view. Have owned a 2008 2.0T non-Quattro since new. It has 113K miles. Timeless design that always gets looks like the day it left the dealership. The cabriolet is truly a family convertible so shared fun for all. It has had minor trim wear but repairs are still worth every cent. My 14 year old daughter is counting the years until she can drive it. Hands down, the best car I have ever owned. The A4 2008 3.2 FSI convertible has done me proud. I love the look of this car inside and out. Most importantly I love driving it and feel safe with its heavy feel. I like the ski shoot and size of the boot for a convertible and use this often when heading to the mountain. I plan to keep ‘rockstar’ as long as I practically can. No major problems since I brought second hand from Audi dealer three years ago other than the roof top stuck open (which was the roof pump) and a faulty $56 brake light switch which needed replacing. The roof pump failure I believe was due to me not turning on the engine before activating roof top. An expensive lesson learn’t. All in all this car is my pride and joy. Just bought an Audi A4 2.0tdi on a 57 plate. Lovely to drive but need a new armrest and the drivers seat buttons do not work. Also the glove compartment doesnt open as previous owner forced it and snapped off. I love the car anyway but want to get these fixed and could do with help as no manual. Is it a B7??? Do not want to order the wrong parts. Hi Simon, Yes, this model on a 57 plate is a B7. Both the armrest catch and the glove box hinge had broken on mine too. There is a kit available (on the popular auction site) to reinforce the broken glove box hinge with a metal bracket. It is a regular problem as the damper has a habit of seizing up. I detached the old damper but some owners have drilled a hole in the side to help it run smoother. I have a 2007 s line with the multitonic, who knew how smooth and quiet the CVT was! Had the manual before and this gearbox is truely amazingly silky smooth… and none of the loss of power and mpg loss!